Justice reform has predominantly, though not exclusively, been a Republican cause over the last several years. Traditionally red states, such as Texas and Georgia, have passed and implemented programs focused on treatment and job-training for nonviolent offenders. These programs have had a proven track record of success, helping lower crime and repeat offender rates while reserving limited prison space for the violent criminals and saving taxpayers money. Before starting a nonprofit organization with his wife, Rep. John Anthony (R-Plainfield) served as a law enforcement officer for the Champaign Police Department and a deputy for the Kendall County Sheriff's Department. He also worked with the Safer Foundation, a nonprofit dedicated helping to those with criminal records successfully re-enter society by focusing treatment and helping them find employment. Looking to tackle these problems head-on, Anthony, whose law enforcement background gives him unique insight. In February, he introduced legislation, HB 3884 that would give nonviolent offenders an opportunity to earn degrees so they can seek viable employment rather continue down a precarious path on which they could choose to commit more serious offenses. There's a connection between the lack of education and crime. A 2003 study, The Effect of Education on Crime: Evidence from Prison Inmates, Arrests, and Self-Reports, found that "schooling significantly reduces criminal activity." HB 3884 aims, Anthony says, to reduce the rate of repeat offenders by substantively addressing this connection. The bill passed the Illinois House on Thursday with strong bipartisan support. "Self-improvement and rehabilitation should be the focus of our criminal justice system," Anthony said after passage of the bill. "By incentivizing inmates to earn their GED, we can help them transition back into the community after completing their sentence and dramatically increase their likelihood of success in finding employment." 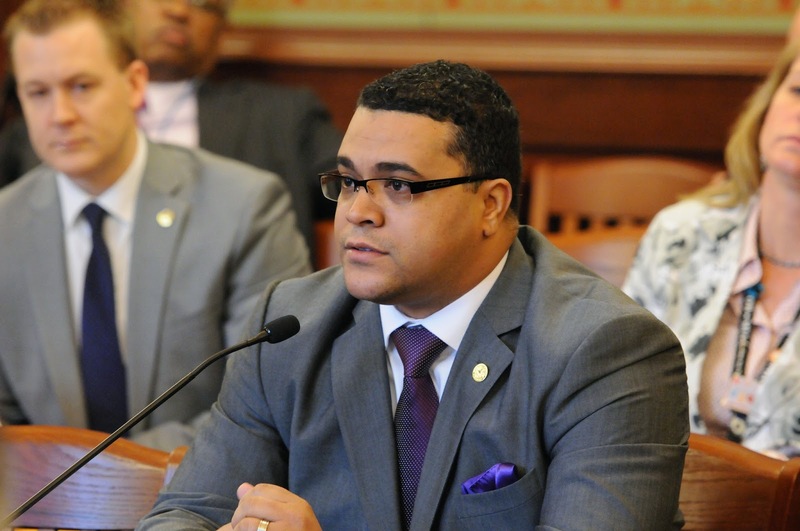 Justice reforms in the Illinois General Assembly don't end with Anthony's HB 3884. Another piece of legislation, HB 3149, will go a long way to ensuring that the goals of HB 3884 are accomplish. Rep. John Cabello (R-Machesney Park) is a detective for the Rockford Police Department. Like Anthony, Cabello's law enforcement background gives him an interesting and important perspective on the justice system. HB 3149 furthers the goals of HB 3884 by allowing nonviolent offenders to petition for their criminal records to be sealed if they've completed education courses and obtained a high school diploma, GED, technical certification or bachelor's degree. The bill, which easily passed the House on Thursday, will make it easier for nonviolent offenders to find employment by removing the stigma of past mistakes. HB 3149 and HB 3884 now head to the Illinois Senate. It's unclear whether Gov. Bruce Rauner, a Republican, will sign these specific bills into law, but he has made justice reform a priority. In February, Rauner explained that policymakers "need to make sure we are rehabilitating inmates so they don’t commit crimes over and over again." He created the Illinois State Commission on Criminal Justice and Sentencing Reform, which will make recommendations for an overhaul of the state's justice system.